“Mon ex à moi” is a tv series produced by Avanti for the French Canadian broadcaster Series+. It’s the story of Amelie who desperately tries to win her ex back. The show was shot last spring in a record time by DP Philippe Roy on Canon EOS C300. The 16 x 30min episodes were edited on Avid at PMT. That’s were I graded all the episodes. They have one nice Resolve room supported by the big Resolve control surface, a Sony OLED monitor and a 2K Christie projector. The show was given a reduced dynamic rage to keep a milky feel to it. The white were soften and compressed a lot and the low lights remained above the 5%. The look remains the same across all the episodes and sets that are mostly warm except for the office where the main character works and her room. We tried to keep vibrant colors without over saturating. Starting this Tuesday, November 25th, you’ll be able yo watch the 2nd season of Ouisurf on Evasion. This 13 episode surf show is now well know for it’s lifestyle approach to the travel show. Produced by Benjamin Rochette, the mastermind behind the Ouisurf branding, the show brings us to Africa where we discover the most beautiful surf spots, the beaches, the deep African culture and the people. The show was beautifuly shot on 5D mmIII and the occasional GoPro by DP and director Jean-Philippe Pariseau (Parish). As we speak, I’ve graded the first 8 shows on Resolve 11. This is also the first show that was finished completely in Resolve for online editing, subtitling and packaging. I was surprised by how well it went. 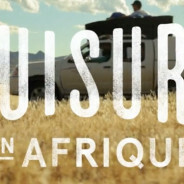 OuiSurf en Afrique from ouisurf.ca on Vimeo. In August I started grading a new TV series called “Complexe G”. It’s a comedy based on the Dutch series “Toren C”. In these 13 episodes we follow coworkers through their work day in a common office. 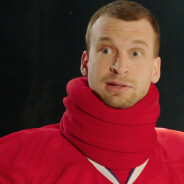 The show, produced by QuebeComm, was shot by DP André Perron on C300s and KiPro minis. The decision of using KiPros was made in pre-production to get a little more info from the C300 trading the 50mbps mpeg-based codec for the 220 mbps ProRes HQ.Windows were overexposed with the help of white diffusion. This helped closing the open set that was in a real office space in Quebec city. Also, each character got a special treatment: Karine, the boss is surrounded by red objects, Sarah, the HR director is dressed and is surrounded by impeccable white, Nathalie, the assistant, is dressed in faded colours. The show was edited in Media Composer and graded on Resolve 11.